A portrait of the jolly old elf himself is a festive gift for friends or family. 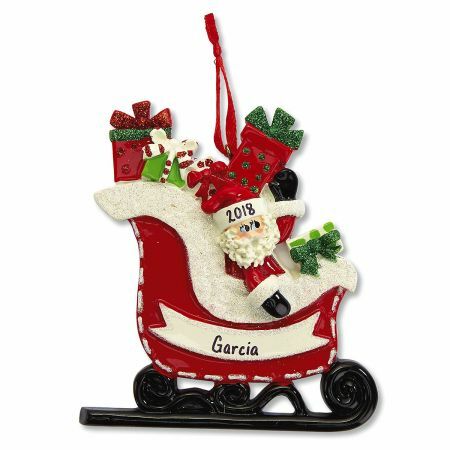 We’ll hand-letter this sturdy resin ornament FREE with the information you specify. Hanging ribbon is included. 3 1/2–5"H.
Specify 1 family name up to 12 characters, plus 4-digit year.